Four very different yet extremely personal works comprise this collection. Vaqueeros, Calacas, and Hollywood: Contemporary Chicano Plays covers topics from death and boxing to life as an immigrant, from Hollywood hero-worship to sexual taboos. 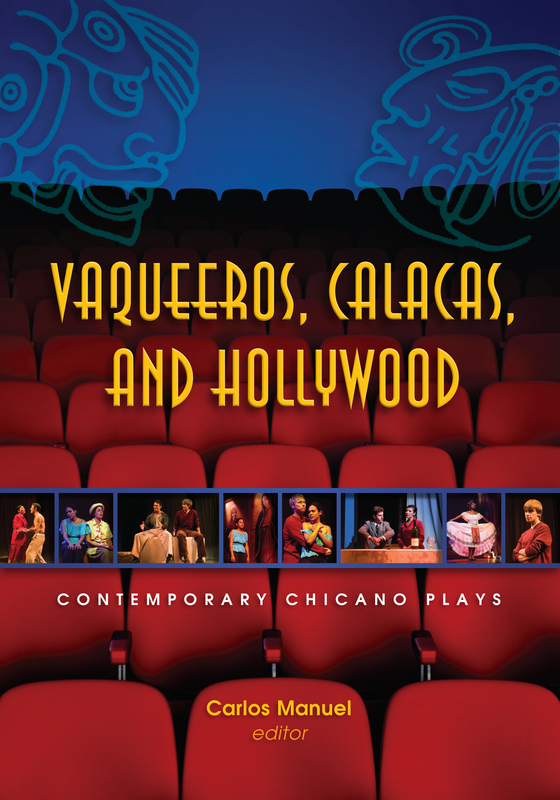 All of the plays reflect themes found in Chicano communities throughout the United States. Barrio Hollywood, by Elaine Romero, uses distinct cultural symbolism to explore tragedy, interracial dating, and family loyalty. Silviana Wood’s trilingual “Yo, Casimiro Flores” mixes rituals, languages, and cultural traditions to craft an intellectual and historical drama that sheds light on what being an immigrant, as well as a Chicano, means in today’s society. We Lost It at the Movies (With a Special Appearance by Rock Hudson), by Guillermo Reyes, is the story of a Chilean mother and her son who struggle to make it in the land of the free, and Vaqueeros, by Carlos Manuel, is an ethnodrama based on interviews that exposes hidden sexual practices among Chicano/Latino men and their fear of being discovered. Carlos Manuel is an assistant professor of theater and the director of the Theatre Program at Bellarmine University. He obtained an MFA in playwriting from Arizona State University and an MA in directing from the University of New Mexico. His work focuses on the Latino experience.